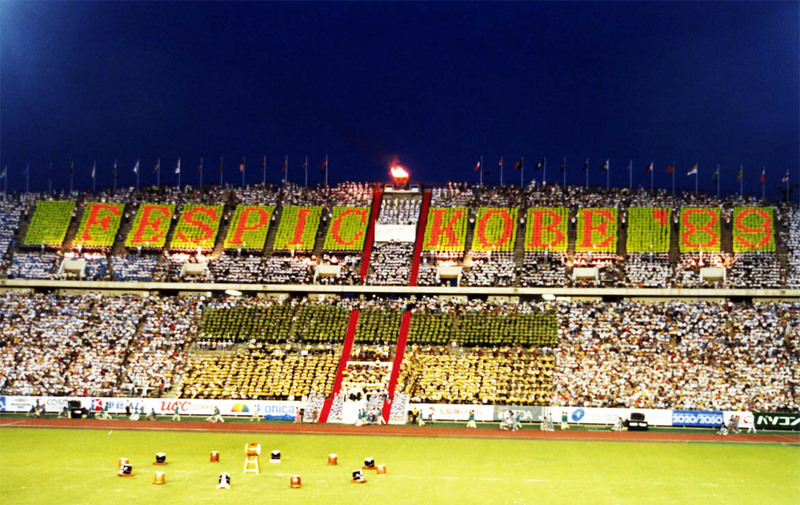 The 5th FESPIC Games were held in Kobe, Japan, from 15–20 September, 1989. Although the Games were nominally scheduled to be held every four years, and the preceding Games were in 1986, the event was moved forward to 1989 to coincide with the 100th anniversary of the founding of Kobe City. After issues at the previous Games with venues and pre-Games organisation, the FESPIC Federation was a lot more rigorous in its pre-Games inspections and requirements for suitable venues, including the Games Village. Possibly as a result, the number of competitors doubled from the previous Games to 1,646, a new record for the Games. These athletes came from 41 participating countries. They competed in 515 events across 13 sports, watched by a total of 600,000 spectators, according to the official Games report. Moo-ta, a white cow, was the official Games mascot. The Games even had a theme song: “With Love”, and a slogan: “Let’s have Smiles, Friendship and Hopes for Tomorrow”.